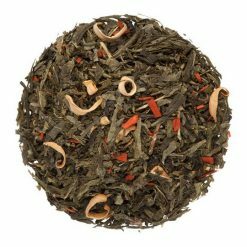 Candy Cane, Peppermint and Strawberry… what are you waiting for? 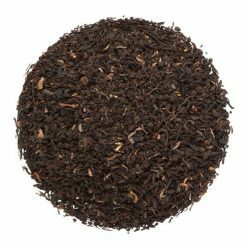 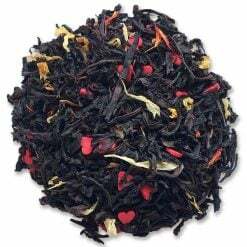 Real Candy Cane Pieces, Peppermint and Strawberry pieces all play a part in flavoring this cheerful black blend. 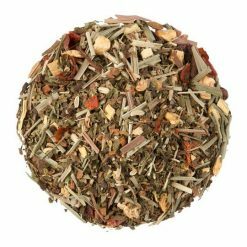 … tis’ the season to drink candy cane tea… la-la-la-la-la, la-la-la-la. 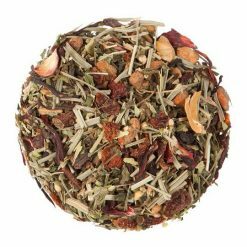 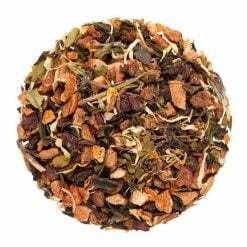 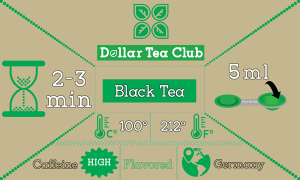 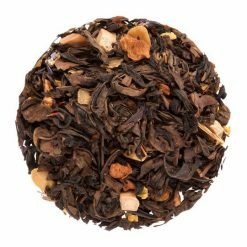 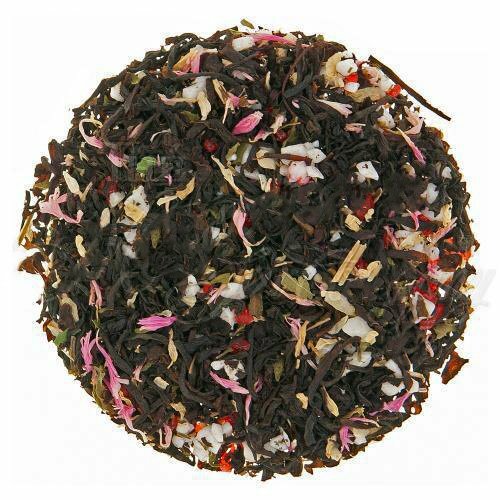 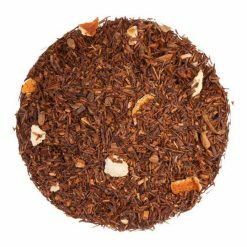 Black tea, peppermint, candy cane pieces, camomile and cornflower petals, strawberry leaves, natural flavors.